Researchers at Washington University School of Medicine have identified 129 jumping genes which drive cancer growth but are not identified by standard DNA sequencing techniques. Standard sequencing techniques allow researchers to identify genetic mutations – altered DNA sequences – which drive cancer growth. Mutations are known to result in the development of cancer, but there are several other drivers of cancer. Previous studies have suggested that jumping genes also play a role in the growth of cancer. 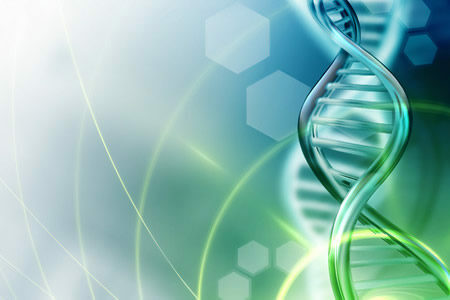 Jumping genes – known as transposons or transposable elements – are short sequences of rogue DNA which copy themselves. The copies are then incorporated into other parts of the genome. The origins of transposons are not well understood, but it is thought that they have been introduced as a result of viral infections. One notable example is the LINE-1 transposon. It has been present in the human genome for a considerable amount of time. So many copies have been made that it has been suggested as much of 17% of the human genome is made from copies of the LINE-1 transposon. Previous research by scientists at Johns Hopkins suggests LINE-1 transposons interfere with cancer-fighting genes in gastro-intestinal tumors. New research conducted at the Washington University School of Medicine has added to the body of evidence that links transposons to the development of cancer. The researchers searched genetic databases looking for tumors whose jumping genes are driving cancer growth. The researchers studied 7,769 tumors from 15 different cancer types using data from the Cancer Genome Atlas (TCGA) and identified 129 jumping genes that were acting as on-switches for 106 cancer genes in 3,864 prostate, colon, lung, skin, brain, and breast tumors. The jumping genes cause cancer genes to be permanently switched on and thus drive the growth of tumors. An average of one jumping gene was identified activating a cancer gene in half the tumors studied. One jumping gene was identified that appeared to be unique to melanoma, while another was present in 12% of all gliomas. Lung cancer appears to be heavily influenced by jumping genes. 87% of lung squamous cell carcinomas, for instance, had jumping genes. The tumors found to have jumping genes activating cancer genes were much more aggressive. If the presence of jumping genes can be identified, it can give doctors a better idea about the prognosis for a patient and guide the aggressiveness of the treatment provided. Jumping genes could also be future targets for cancer therapies, which target gene regulation rather than gene mutations. Jumping genes are more likely to be incorporated into sections of DNA that have opened up. The researchers have proposed that if a method of closing off DNA can be identified, DNA could be locked down to prevent the incorporation of these cancer-driving jumping genes. “This study is the first detailed outline of their important roles in cancer. We hope this research provides new ways for scientists to approach the development of cancer therapeutics. Using knowledge of how genes are regulated, we hope to find ways to shut down these jumping genes that drive tumor growth,” said Ting Wang, lead researcher of the study.